My Crochetville Secret Pal Revealed! Takeyah was my fabulous Crochetville Secret Pal! 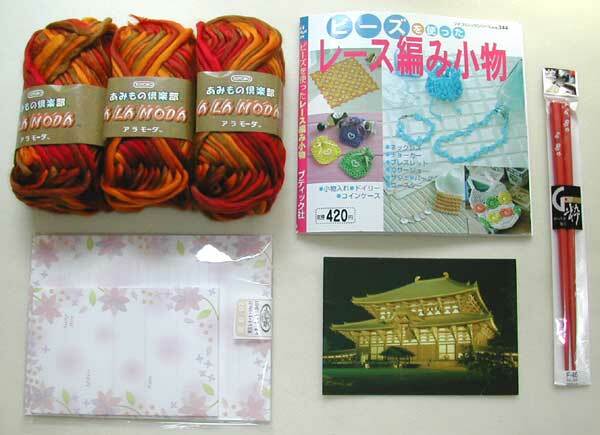 She lives in Japan and has sent me the most wonderful things. Thank you, Takeyah, for being a fantastic Secret Pal! Here is the marvelous reveal package I received from Takeyah. You can click on the first one for a larger image. The bottom photos are closeups of the yarn and chopsticks. Thanks again to Chie for translation! Thank you again, Takeyah, you have made me so happy! Fabulous stuff! You have a great secret pal. 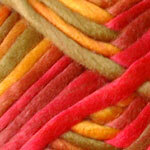 I love that yarn, how beautiful! 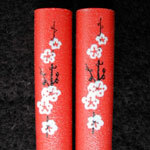 What a lovely design on those chopsticks! We recently got some with cute animals on them for the girls to encourage them to work on using them more. Enjoy all your lovely pressies! YATTA! I am happy that you like the gift. It was great being your secret pal!